For years the demand for a larger height adjustable surface box was growing. Now G+W offers the 3583V, G+W's largest synthetic surface box with height adjustable top part. G+W has also improved the design of the fixed 3583 surface box. The dimensions are in accordance with DIN 3583 standards and the design meets DVGW and EN124-D44 requirements. The type 3583 is particularly suitable in gas transmission and distribution networks. However, these surface boxes also gain more and more popularity in applications like district heating, wastewater treatment and special applications. 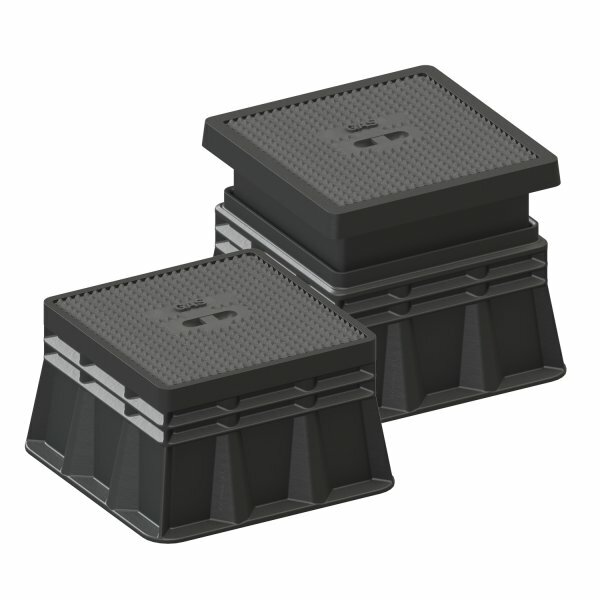 Both versions are made out of high quality Polyamide material (P123) making them heat resistant up to 240°C and highly suitable for tarmac installation. Please feel free to have a look. If you need more information please contact us.